Crafts are essential in the development of kids. 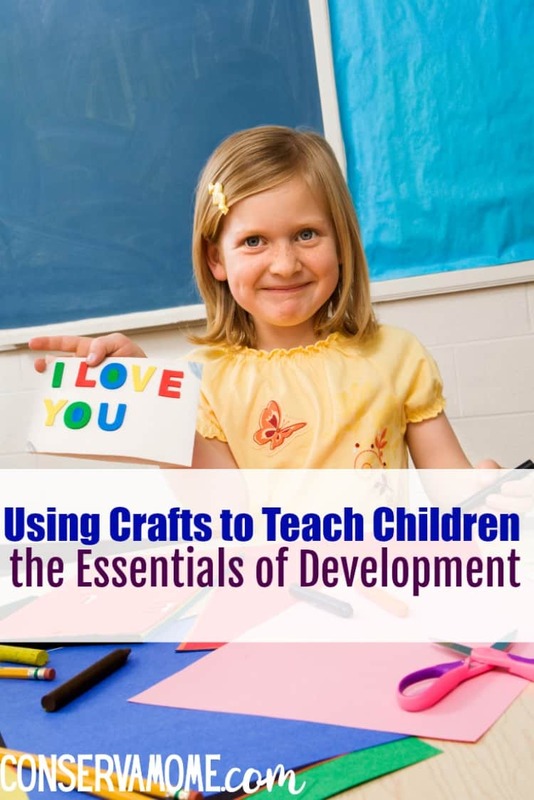 Find out five ways of how Using Crafts to Teach Children the Essentials of Development and life lessons. I remember one day when my son greeted me at the door with his arms spread wide ready to engage in his favorite craft projects. We were on a mission to create a mess throughout the house with puzzles, crayons, and all of his favorites. That fun, and sometimes very messy, experience taught my son valuable things about life, a true modern-day miracle. It was a gratifying experience to witness him learning how to read, write, and develop basic cognitive skills that are forming a model for his continued educational development. Family activities involving fun craft projects teach children important skills while helping them to develop the characteristics they will need as an adult. The benefits of using crafts to teach your kid in a camp environment are teamwork development skills, self-motivation, and self-dependancy. I am the parent of a special needs child and camps were an integral part of helping my child to develop important life skills. Exciting hands-on activities in a warm and inviting atmosphere helped my child to develop a healthy self-confidence. Seeing happy smiles and hearing laughter is an infectious part of the camp experience. There is a great experience waiting for your loved one at a Christian special needs summer camp. Imagine walking into your child’s room and seeing colorful crayons smudged into the carpet with unicorns and butterflies drawn all over the wall. It’s enough to make you scratch your head in horror. No need for alarm, your little angel is just making a productive mess that will later be a valuable life-lesson. Here are five ways of how craft projects can teach kids valuable life lessons. Kids working on projects together stimulate their ability to develop such skills as teamwork, communication, and social skills. The use of craft activities at a kids party where each child completes a project as part of a group is a great way to teach your child how to be a team player. When a child has the freedom to doodle, paint, or build to their heart’s fullest content, you can at once notice how their faces light up as they explore the range of emotions involved in discovering their originality. Simple activities such as gluing, coloring, and cutting within lines or patterns create fine motor skill development. A craft activity may not always turn out as expected. A craft project that results in a few cuts outside the lines can prove as a test. In such cases, crafts can teach kids to keep trying despite failures. Craft activities can teach a child the skill of following instructions to finish a project. The goal-oriented nature of crafts emphasizes following a specific set of steps. Kids learn a valuable life lesson when they saw the outcome of doing things the right or the wrong way. Digital toys, electronic books, and digital drawing technology offer added options for craft activities. For example, tablets with fun games and exercises can show children how to read and write. We use innovative toys that talk, mimic animals and explain the characteristics of images to teach kids a variety of skills. Although new technology devices have its advantages, nothing can replace the old-fashioned one-on-one fun of crafts. Brooke Larm, a scientist at Michigan State University, suggests compiling a nature journal combining natural materials with art materials to provoke new ideas and experimentation in your child’s craft activities. Studies supported by the U.S. Department of Education has shown promising results that highlight the importance of implementing crafts in your child’s early education. Dual language learning and early literacy knowledge were the subjects of the results found. Now is the time to get involved with paving the way for our next generation of geniuses. This can be done by engaging in fun-filled craft activities with your kids. Don’t worry about the mess you’ll make. Their next lesson will include clean-up time.